But Musk suggests that this hypothesis is only 50% right. In an emergency, I’d rather be in a tube with air in it than in a vacuum! My main question is around the propulsion. Is it only-pneumatically driven? Or is it magnetic? Or is it mostly pneumatic with magnetic augmentation? Or vice versa? The 12th August should be a good day for tech and engineering nerds the world over. Who is this Elon maniac? You may have heard of some of Elon’s previous businesses. Paypal? Remember that little pokey corner of the interwebs? That was one of his. He owned 11.7% of the company (its biggest shareholder) when eBay bought it for $1.5bn in 2002. Since then, his spaceship company (as you do) has won a $1.6bn contract with NASA to take cargo to the International Space Station. His Falcon 1 became the first private, liquid-fuelled vehicle to deploy a satellite into orbit and in 2012 his Dragon vehicle became the first commercial vehicle to dock with the ISS. Not happy with only revolutionising person-to-person payments and space transport (I mean, who would be? 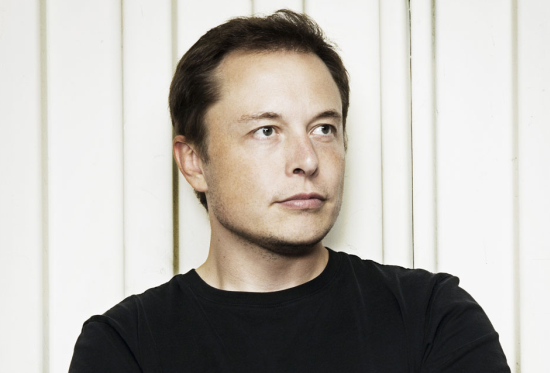 Slacker…) Elon turned his attention to electric vehicles and started the Tesla motor company. After the engineering success of the Roadster (based on the British Lotus Elise) and the commercial success of the Model S family saloon (sedan) Tesla posted its first profit in 2013. And, based on market cap, became a larger company than Italy’s Fiat (owner of Ferrari)!